Welcome Back To Seanchaidh! Winner Tripod Best of Pod Celtic Website 1998! Celebrating 10 Years Online! November 2nd 2008 Update - I've been one busy guy with my club DJing and podcasting. I'm currently reading some more Celtic myths and maybe adding some new stories this week. Like adventure? Romance? A good story?Legends of the Celts is the place to read up on the heroes of the Celts and their descendants from the Ulster myths of Cuchulain to the true story of Sir William Wallace the Brave Heart.Find out what REALLY happened and what the movie got wrong. Ever wanted to trace your Scot-Irish ancestry? Looking for a distant relative in Wales or England? 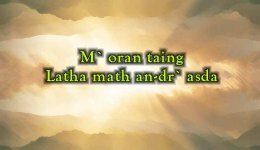 Ever wanted to LEARN GAELIC? Then Legacy of the Celts is where you want to go! Just Who Were The Celts? This brief history will tell you. Did you know at one time the Celts held a culture of various tribal groups that spread from Spain to Turkey? Music has been deeply ingrained into the Celtic way of life since the Bronze Age the bards of old were held in great prestige and as it did long ago The Song of the Celts rings just as true and as pure then as it does now. Questions? Comments? Ideas? Our new e-mail is seanchaidh@myway.com.